Winning the lottery is no joke. For most people, it entails massive lifestyle changes. One of the most common is a change in employment. More precisely, getting rid of unwanted employment altogether. Many people have completed the bold step. Some have even taken the plunge prior to winning the lottery. It’s nothing but natural to quit your job when you become a millionaire. Is this a good decision, however? Has it brought lottery winners happiness? We can find out a bit more by exploring several stories. Most people make the decision to quit their job after winning the lottery. Yahnique S., however, had a different plan. She quit her job and won the lottery a few days later. Now, that’s what we call testing one’s luck in the most extreme way possible. A certified nursing assistant, Yahnique decided to quit her job in the middle of January 2017. 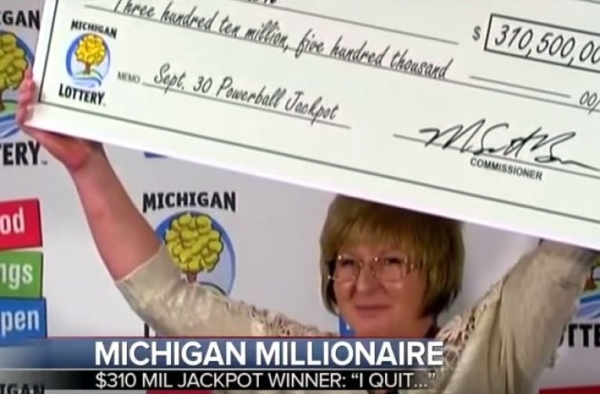 Soon after, the former nurse became 3.3 million dollars richer. The Aurora, Colorado, native felt burned out after she had dedicated 30 years to her nursing career. The decision had nothing to do with her lottery winning confidence. “My last day was January 17, but I didn’t have anything lined up yet,” Yahnique said after winning. Yahnique won from a local Colorado Lottery quick pick ticket. Both she and her husband had a difficulty believing what had happened. Today, Yahnique is using the money to pay off some debt and to start a home improvement project. Some people aren’t as noble and modest as the first winner we’ve talked about. In fact, some people have quit their job in an attempt to protect their lottery jackpot. In 2015, a man and his colleagues bought a lottery ticket. Just like every other syndicate, they planned to split the prize won. Little did the syndicate members know that their coworker had a completely different plan. The ticket that the group purchased was actually worth 16.6 million dollars. Gary Baron, the protagonist of this story, decided that he wasn’t going to share. The syndicate consisted of 16 people and Gary made a calculation that didn’t make him all too happy. Apparently, Gary didn’t feel too good about winning solely one million dollars. In order to collect the entire amount, Gary quit his job and disappeared. This happened shortly after he received a bottle of champagne at work – a gesture aimed at congratulating Gary for the win. Needless to say, his colleagues became suspicious immediately after he resigned. The syndicate members decided to sue Gary after they found out what was going on. The legal battle continued until February 2017. A financial settlement was reached between all of the people involved in the dispute but they didn’t reveal its parameters. One of the most important rules of playing the lottery is making sure that you’ve really won the prize. Unfortunately for some New Jersey restaurant workers, they didn’t adhere to this first rule. It was utter chaos at the restaurant when the group decided that they’d won the lottery. Laughter, shouting and hugging followed, one member of the staff even deciding to quit after the group figured out that they’d won lottery millions. The ecstatic employees had actually checked the lottery numbers for a previous date. While they did match the ones on the ticket, the drawing wasn’t the same (one set of numbers was for a Wednesday drawing and the other – for a Saturday). The group thus failed to win the 528-million-dollar prize. Our infamous group of restaurant workers went viral because the notorious number reading was captured on video. 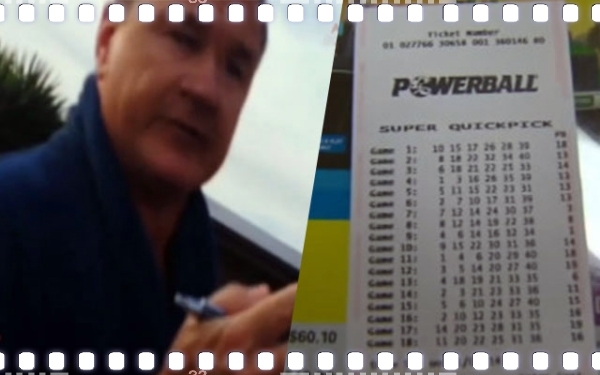 After the Powerball number is announced and it happens to be a match, the entire scene erupts. The video doesn’t show when the group found out they hadn’t won. It’s also not clear whether the person who quit went back to requesting their job. The story, however, can serve as a wonderful lesson. If you’re not sure that you’ve won, don’t make life-changing decisions. Americans aren’t the only people who resign from their job left and right after winning the lottery. Their British counterparts have reacted in quite similar ways to a massive win. 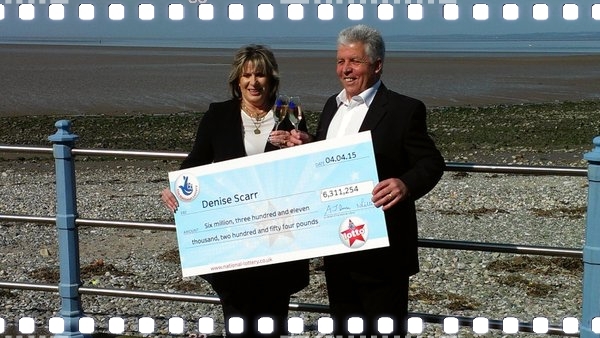 Denise and Robert Scarr became 6.3 million pounds richer in the spring of 2015. One of the first things that both members of the couple did, were quitting their jobs. After resigning, the couple decided it was about time to fulfill their lifelong dream – to travel the world. Robert worked as a quarry and Denise was employed in a local Homewares store. The couple found out that they’d become millionaires on Saturday. On Monday, both of them handed their resignations. “We have both longed to go on a cruise for years, but were trying to manage the finances around this and the countries we wanted to visit,” Denise told The Mirror. 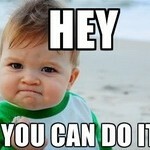 Chances are that you’ve dreamed about confronting your boss and quitting work on the spot. Most of us have such fantasies, but few get a chance to bring them to reality. Jasmine Rooney is one of these people. 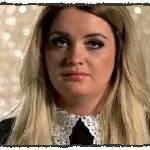 In March 2017, Jasmine decided to make the most of her lunch break by playing an online lottery. She had nothing to lose and the website was giving away free participation. A few minutes later, Jasmine found herself slightly over 362,000 dollars richer. You’re probably telling yourself the sum doesn’t come close to a million. You’re right, but Jasmine was probably quite pissed at her boss. The two had a heated exchange, after which Jasmine told colleagues that she wouldn’t be coming back. There are so many people out there who hate their job or who’re working in dangerous conditions. Still, they need the money and they don’t see an option for an employment change. Julie Leach was one of these people. She worked in a fiberglass factory. Julie described her work as both nasty and dirty. She wasn’t too keen on quitting, but she didn’t really see another option. That was until she won the Powerball jackpot. Spending her lunch break with coworkers, Julie decided to check the numbers for the latest drawing. She had managed to match all – an accomplishment that made her 310 million dollars richer. After recovering from the shock, Julie quit her job on the spot. “I quit automatically. I was done,” Julie said during the press conference announcing her win. She said that she’d regularly buy about 20-dollars worth of lottery tickets, but that she’d never expected to win anything. Julie said that she’d like to buy some land with the money, giving her children and grandchildren an opportunity to spend quality family time together. Together with her husband, Julie also planned to pay off some debt and start traveling. While investment advisors warn that quitting your job after winning the lottery isn’t the smartest thing to do, it seems that many people hold a different belief. 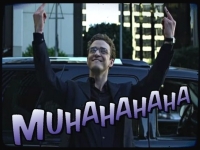 What would you do if you became a millionaire? Would you change your lifestyle altogether? We hope that you’ll soon get a chance to find out. Sure, after winning you can leave your leave. The first thing I would do is quit my job once the funds have cleared. The vast majority of Americans hate their jobs or careers and this is why the vast majority quit when they win the lottery. Even if they like or love their work, it takes up far too much time and effort and once able to not worry about money they quit.